Love Over 50, No Problem! Thank you so much for making this site available with clarity of intentions you have for people to find each other. I had been a member for a few years and had some nice e-mail exchanges; even a few in-person meetings which didn't amount to anything but were still very enjoyable. Last November, I received an e-mail from muse9, and the two of us connected on so many levels so quickly that we were both amazed and delighted. She is everything I could have asked for and so much more. It feels that we have known each other much longer than six months. The happiness and communication we share is remarkable, and I am so grateful to have this love, trust, passion and deep knowing all at once. I'll also mention both of us are in our late 50's, so we are living proof that it's never too late for love, romance and all the juiciness of life. 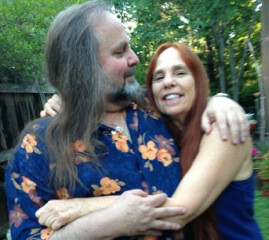 I met the Great Love of my life at 58 --through your website in November of 2012. We bonded over music and found that we shared core common values of honesty, good communication, kindness, spiritual awareness and making life as fun as possible! I had been very skeptical of online dating because I had heard some scary stories, but decided to give it a try when my sister told me that she met her true love online. After only three weeks on your site--I found him. Our relationship has a strong spiritual basis and we laugh a lot! I have found a great friend, lover and partner and I am living my relationship dreams! Thank you so much!